If you don't have the time to keep on top of all the jobs that need to be done in your garden, it's easy for nature to take over. But with Diamond Garden Care visiting regularly, your garden will look lovely all year round. Left unchecked, it doesn't take long for a garden to become overgrown and unkempt: weeds spreading and choking plants; bushes getting ever bigger and stunting the growth of plants trying to grow in their shadows; lawns that are more moss than grass. Whether your garden needs a complete overhaul or just want an extra pair of hands to keep things looking good, Diamond Garden Care can help. We are skilled and experienced gardeners and will happily tackle all types of garden maintenance for both residential and commercial customers. 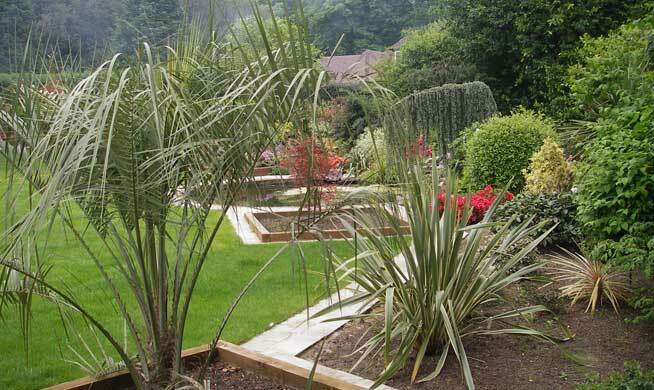 Call Diamond Garden Care for a one-off clearance to reclaim your garden space or book us for regular weekly or fortnightly visits, we will quickly and efficiently get your garden in good shape. We have the necessary tools and equipment to make light work of even the most overgrown garden, and the gardening expertise to ensure that we know the difference between a plant and a weed and how best to prune trees and shrubs. If you want us to look after your garden year round, your garden will get all the benefits of expert care, from adding fertilizer to improve the soil quality to nurturing plants and shrubs to adding more visual impact through planting. At Diamond Garden Care our priority is to keep your garden in the best possible condition at all times - we're happy to keep working even in the colder months, there's still plenty to be done!